A couple of weeks ago, I attended a workshop hosted by the Australia-based Developmental Leadership Program with the fanciful title of Thinking and Working Politically. This was the second meeting of this ad hoc group of donors, think tankers and implementers. The first meeting took place in New Delhi in November and Oxfam’s Duncan Green enthusiastically blogged about the first meeting and the second meeting, which I attended. As Carothers and De Gramont describe, many development practitioners implicitly recognize the need to understand the political context of the societies in which they are working, but often shy away from acknowledging that they are operating “politically.” Even at USAID, where we were the first bilateral donor to explicitly embrace political work through the creation of a Center of Excellence for Democracy and Governance in 1994, we debate whether we should substitute the word “contextually” for “politically.” And yet, understanding political context is essential for maximizing the results of our development investments whether our specific objective is increasing economic growth, spreading the availability of water and energy supplies, or improving health and education outcomes. At USAID, we are seeking to help staff think and work politically through several initiatives. The new Strategy on Democracy, Human Rights and Governance (DRG) issued in June 2013 emphasizes the importance of applying political economy analysis (PEA) across all of USAID’s programming sectors. USAID is currently in the process of developing a tool to guide all USAID staff in the conduct of a PEA and will support pilots of the new tool as well as training programs for staff across the Agency. The Agency is also looking to integrate inclusive growth diagnostics, which seek to prioritize constraints to growth, with PEA into a unified analytic approach for identifying the specific constraints to achieving sustainable development outcomes in particular country settings. A USAID-funded example of applying a “thinking and working politically” approach is documented in The Asia Foundation’s 2013 publication, “Built on Dreams Grounded in Reality: Economic Policy Reforms in the Philippines.” The book traces the political battles involved in promoting reform in several key sectors including telecommunications, civil aviation and sea transport. 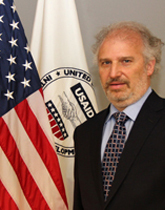 According to the authors, USAID-funded activities contributed to several of the positive outcomes by carefully analyzing local political context, relying on local leaders who assume personal responsibility for achieving development outcomes, seizing opportunities as they emerge and exercising perseverance over time. We are collecting other real-world examples of USAID consciously applying a “thinking and working politically” approach and invite readers of this blog to comment on their experiences. Moreover, as we pursue this agenda within USAID, we are mindful that other donors have been considering these issues for several years and we will continue to participate in donor gatherings where we can learn from others while sharing our experiences and perspectives.